We’ve done the checking, vetting and verifying for you. Save time and avoid the usual hassles / frustrations and talk to one of our short-listed end of lease cleaning companies in Melbourne (and make sure you get your bond back!). Become a TrustedCleaner Approved Business. Enjoy top Google rankings, targeted traffic & lead generations tools designed to make your phone ring! Only 2 spots on this page remaining. Zero Spot Cleaners have years of experience cleaning different sized houses, apartments, commercial buildings and more throughout the suburbs in Melbourne and surrounding areas. They will leave carpets, wall, windows, bathrooms, and laundry rooms looking as good as they did when you first moved in. Their end of lease cleaning services in Melbourne come with a 100% full bond back guarantee, meaning that if your landlord or property manager does not return your complete lease they’ll return to your house or apartment free of charge to fix the problem to make sure your bond is fully refunded. 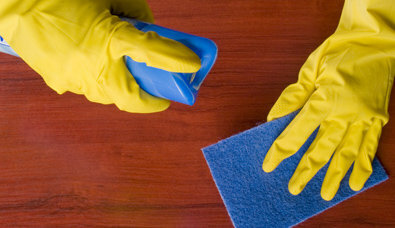 Zero Spot Cleaners provide fully insured cleaning services. Any damage done to your property because of equipment handling will be replaced or reimbursed fully, giving you complete peace of mind. Based in south-east Melbourne, BKL Home Services is a family-owned and operated full service house and apartment cleaning company serving all parts of Melbourne and surrounding areas. Their staff are fully trained and highly responsive, providing a top-notch cleaning service that will keep you going back. Every BKL Home Services cleaning specialist undergoes a rigorous training programme that prepares him or her to handle commercial-grade equipment effectively, and safely use a number of different cleaning solutions. The result? You get the job done right the first time. BKL is experienced in dealing with the real estate industry and will work with you and your agent through every stage of end of lease cleaning. They offer a 100% bond cleaning guarantee, meaning that if you aren’t happy with the results or don’t receive your bond back in full, the company will return to fix the problem at no cost to you. BeBrite has been operating as one of Australia’s most trusted and reliable cleaning franchises for over 18 years. They have set the gold standard for results throughout Melbourne, and become the envy of many of their competitors. They are consistently seeking to achieve excellence in technological advancement, superior cleaning products, and customer service. They provide the perfect solution for your vacate cleaning needs and pay great attention to all of the finer details that guarantee you will get your entire bond back. BeBrite is the preferred end of lease cleaning company for many real estate agents and landlords, requiring that they bring a high quality cleaning standard to all of their end of lease cleaning jobs. They offer a 100% customer satisfaction guarantee, ensuring that everything will be taken care of. With BeBrite, there’s absolutely nothing to worry or stress over. Your rental will look as good as new! When it comes to choosing the right bond cleaning company for you, it’s important to check a few things before signing a contract. How Do You Know if the Cleaner is Legitimate? It’s very easy for anyone to put up a website claiming years of experience in a particular trade. You should check to see how long the cleaning company has been in business and search for independent customer reviews of their services. The company should be able to provide you with certifications and licences upon your request, as well as give you a list of references who will back up their claims. Does the Cleaner Offer a Written Estimate? All of the best Melbourne-based vacate cleaning companies should be able to provide you with a free on-site written estimate of services and costs. There may be a few additional charges for difficult areas or special products that are used, but all of this should be cleared up before you sign a contract. What Guarantees Does the Cleaning Company Offer? Bond cleaning companies should be experts in cleaning your rental to the specifications of your landlord. If for any reason the cleaners believe they can’t clean specific trouble areas, then they should be able to give you different ways to handle these areas – such as repair or using stronger cleaning solutions – so that you can get as much of your bond back as possible.